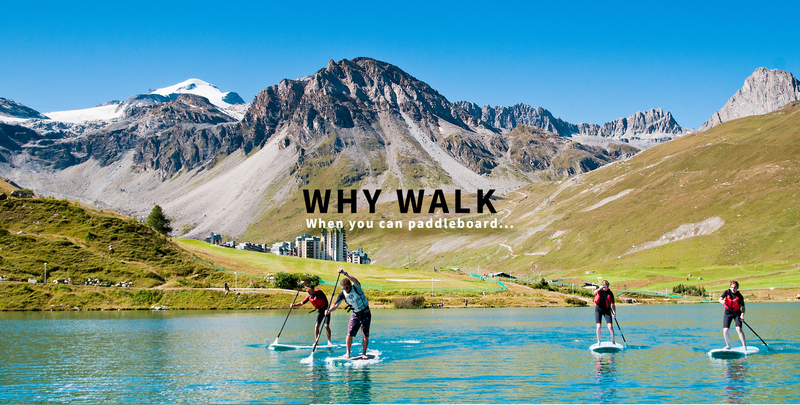 When you think Tignes, you picture snow-covered peaks, a frozen lake, a glacier and snow-sure skiing. You might know it’s made up of 5 villages, or that you can ski there almost year round. But did you know that the original village of Tignes is actually submerged under 235 million cubic metres of water? Or that a scantily-clad Hercules has been holding up the nearby dam since 1989? The distant past of this popular resort lies hidden in the murky depths of the Lac du Chevril, which was created in 1952 by the building of the dam (or ‘barrage’ as the locals say). This was part of a hydroelectric project designed to provide France with 10% of its electricity. Obscured by the water of the lake is the original village of Tignes, dating back to the 13th century, which was flooded when the dam was built amidst much opposition from the locals. Only the church bell made it to the new, rebuilt Tignes higher up the mountain. The old village eerily reveals itself and can be explored on foot once every 10 years or so when the lake is drained in the summer months for maintenance of the dam. France moved over to using nuclear energy shortly after the construction of the dam, so it would never fulfil its intended purpose, and the loss of Tignes village was seen by many as an even greater tragedy as a result. The dam is now used to charge up a huge battery which could be used to power the modern day resort if its existing power supply should fail. Sharp-eyed visitors to Tignes and Val d’Isere, when driving up to the dam, may spot the huge mural of Hercules seemingly supporting the structure, which was painted in 1989 as part of the preparation for the 1992 winter Olympics. Just as Tignes’ lake reveals hidden secrets when one looks beneath the surface, after the winter storms subside and the snow has melted each year, another Tignes is uncovered. The white ski resort we all know vanishes, to be replaced by an abundance of flora and fauna. 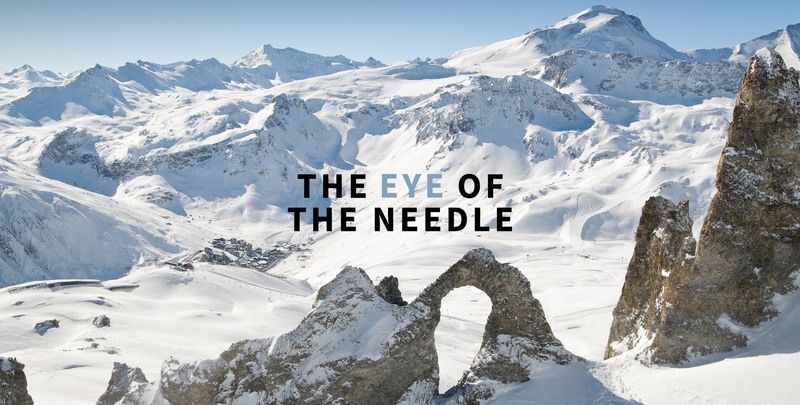 This is the iconic Aiguille Percee, the Eye of the Needle, both in summer and in winter; this mass of Triassic limestone was crushed and pounded when it was formed, making it highly susceptible to erosion, which has given the distinctive natural arched shape which makes it such a popular photo-stop and view point in all seasons. Attend one of our Season Worker or Life Skills cookery courses over the summer and you will get to see Tignes in all its glory. For more information or to book a place call us on 0330 102 8001 or contact us here.